George Orwell toiled in poverty for many years, but after writing Animal Farm he had to start turning down invitations. In August 1947 the literary magazine The Strand asked him to write something for its pages and to give an account of his life. A prolific essayist and book critic, Orwell was at the time struggling with what would become his other masterpiece, Nineteen Eighty-Four. (“This bloody book,” he called it, as illness slowed his progress.) He declined the magazine’s invitation in, explaining that he was cutting back on hack work in order to complete his novel. Neither party, of course, could know that Orwell, who would die of tuberculosis in 1950, had only about a month of decent health left in his life. This remarkable document tells you more or less everything you need to know about George Orwell. It is written in the clear, direct language that he considered the best antidote to insincerity and evasion. It reminds the Left and the Right — both of which need reminding — of his chief convictions: against totalitarianism and for socialism. It confirms that Orwell was indeed fallible, for, as editor Peter Davison notes, he either forgot about or elided his brief membership in the Independent Labor Party. At the same time, the manner in which that membership ended demonstrates his priorities: Orwell left the ILP at the beginning of World War Two because it remained pacifist in the face of German atrocities and aggression. 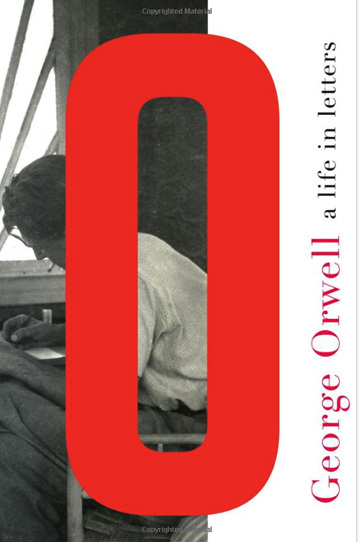 Above all, the letter convinces us that Orwell is the rare public figure we can trust to write his own epitaph. [W]hen you meet anyone in the flesh you realize immediately that he is a human being and not a sort of caricature embodying certain ideas. It is partly for this reason that I don’t mix much in literary circles, because I know from experience that once I have met and spoken to anyone I shall never again be able to show any intellectual brutality towards him, even when I feel that I ought to, like the Labor M.P.s who get patted on the back by dukes and are lost forever more. Orwell was a study in class confusion. No Eton graduate derived more pleasure from goat farming or carpentry. He learned to drop his aitches among the tramps and defied convention by wearing shabby and casual clothing — only partly from necessity. (Crick recounts the way he once asked a housekeeper to economize and “dye his khaki Home Guard shirts and beret black and the overcoat brown — despite her protests that it would make him look like a fascist. It did. He had no color sense at all.”) Orwell spent his later years on the Scottish island of Jura and wanted very much to blend in with the local farmers. But they always thought of him as a visiting gentleman. Yet this desire to transcend class — to rebel against the upper and sample the lower, even while despising the “filthy” bits — is related to Orwell’s lifelong commitment, in both word and deed, to simple decency. “It has been on my conscience for a long time that you once sent me a pot of jam for which I never thanked you,” he wrote one of his admirers. In 1946, once his books had begun to generate real income, he began repaying a £300 loan that an anonymous benefactor had made via intermediary in 1938. When he crossed messages with his publisher about trying to hire a secretary to type the manuscript of Nineteen Eighty-Four, he only hoped that the candidates had not been put to any trouble. As he lay dying of tuberculosis, suffering agonizing lung treatments and quarantined from his beloved son Richard, he poignantly described his lodgings as follows: “it is a nice hospital and everyone is extraordinarily kind to me.” It’s in these moments one sees clearly the society, an imperfect but organic one, that Orwell was determined to preserve from totalitarianism. One of Davison’s best decisions in editing this volume was to include letters from Orwell’s first wife, Eileen Blair. She is every bit her husband’s match, and a droll and witty correspondent too. “A typewriter ribbon is the longest thing in the world,” she wrote to one of her friends. “It will go round every chair leg in a good sized house. So I’ve just discovered.” Eileen died during a hysterectomy operation in 1945, at age thirty-nine. Her final letters to her husband, who was working in Europe as a war correspondent, are heartbreaking. The last entry is an unfinished letter to him that she was drafting as she awaited the operation — she had already been prepped for surgery and was wheeled away mid-sentence. Orwell was stoic to an almost terrible degree after losing her. But his grief does come through occasionally. “Each winter I find it harder and harder to believe that spring will actually come,” he wrote to the novelist Arthur Koestler on the first anniversary of Eileen’s death. Orwell has been canonized many times over: for his integrity; his early and decisive rejections of communism, imperialism, and fascism; his willingness to point out his own shortcomings and generally to “face unpleasant facts.” For these achievements he is rightly considered one of the giants of twentieth-century letters. Yet this volume, coupled with the diaries, reveals underneath all the mythology a man who contended with illness and loss during a brief, hard life. That he wrote anything of value after Eileen’s death is extraordinary. That he wrote literature of genius is something like a miracle.